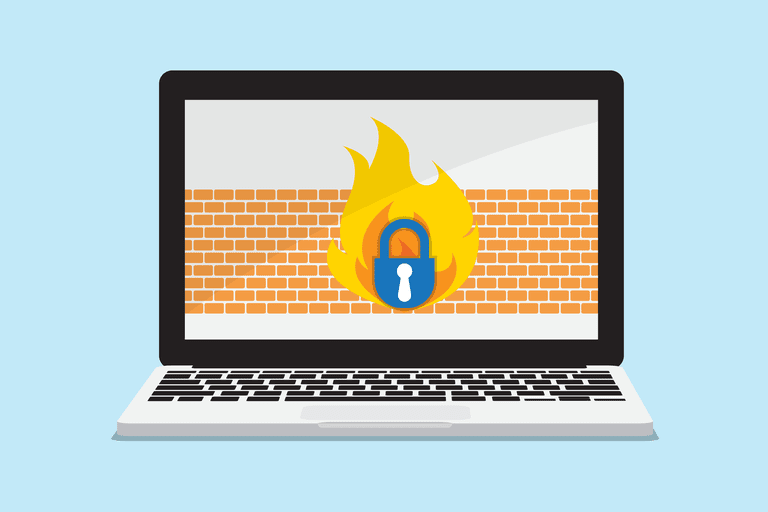 Windows has a great built-in firewall, but did you know there are alternative and completely free firewall programs you can install? It's true, and many of them have easier to use and understand features and options than the one Microsoft has built into its operating system. It's probably a good idea to check that the built-in Windows Firewall is disabled after installing one of these programs. You don't need two lines of defense set up together — that could actually do more harm than good. The list of free firewall tools below is ordered in a very specific way: from actively developed software to those that are no longer updated by their developers. The ones at the bottom of this list are therefore less secure, but might still provide what you need. A free firewall is not a replacement for good antivirus software! Here's more on scanning your computer for malware and the right tools to do that with. Reasonably priced and streamlined for cybersecurity novices. Integrates well with the Comodo Dragon secure browser. Automatic sandboxing is disabled by default. Offers no defense from exploit attacks. We especially appreciate how easy it is to add programs to the block or allow list. Instead of walking through a long winded wizard to define ports and other options, you can just browse for a program and be done. However, there are also very specific, advanced settings, if you want to use them. Comodo Firewall has a Rating Scan option to scan all running processes to show how trustworthy they are. This is especially useful if you suspect that some kind of malware is running on your computer. Comodo KillSwitch is an advanced portion of Comodo Firewall that lists all running processes and makes it a breeze to terminate or block anything you don't want. You can also see all your computer's running applications and services from this window. Comodo Firewall might take longer than you're used to to install. It works with Windows 10, 8, and 7. Comodo Firewall will change your default home page and search engine unless you deselect that option on the first screen of the installer during the initial setup. It might also install other Comodo tools on your computer, but you can just remove them later if that happens. Easily create exceptions with the auto-learn feature. No protection against exploit attacks. Must create exceptions for web-enabled programs you use. TinyWall is another free firewall program that protects you without displaying tons of notifications and prompts like most other firewall software. An application scanner is included in TinyWall to scan your computer for programs it can add to the safe list. You're also able to choose a process, file, or service manually and give it firewall permissions that are permanent or for a specified number of hours. You can run TinyWall in Autolearn mode to teach it which programs you want to give network access to so you can open all of them and then shutdown the mode to quickly add all your trusted programs to the safe list. A Connections monitor shows all the active processes that have a connection to the internet as well as any open ports. You're able to right-click any of these connections to abruptly terminate the process or even send it to VirusTotal, among other options, for an online virus scan. TinyWall also blocks known locations that harbor viruses and worms, protects changes made to Windows Firewall, can be password protected, and can lock down the hosts file from unwanted changes. TinyWall only works with Windows Vista and newer, which includes Windows 10, 8, and 7. Windows XP is not supported. Integrates with many other security programs. Highest security setting flags everything, including safe programs. ZoneAlarm Free Firewall is the basic version of ZoneAlarm Free Antivirus + Firewall but just without the antivirus portion. You can, however, add this portion to the install at a later date if you wish to have a virus scanner alongside this firewall program. During setup, you're given the option to install ZoneAlarm Free Firewall with one of two security types: AUTO-LEARN or MAX SECURITY. The former makes changes based on your behavior while the latter gives you the ability to control each and every application setting manually. ZoneAlarm Free Firewall can lock the hosts file to prevent malicious changes, enter into Game Mode to manage notifications automatically for less disturbance, password protect it's settings to prevent unauthorized changes, and even email you security status reports. You can also use ZoneAlarm Free Firewall to easily adjust the security mode of public and private networks with a slider setting. You can slide the setting from no firewall protection to medium or high to adjust whether or not anyone on the network can connect to you, which allows restricting file and printer sharing for certain networks. ZoneAlarm Free Firewall works with Windows 10, 8, 7, Vista, and XP. Choose a custom install during setup and click Skip all offers to avoid installing anything but ZoneAlarm Free Firewall. Easy to toggle on and off. Blocks most ads and pop-ups from websites. Need basic IT knowledge to set it up. PeerBlock is different than most firewall programs because instead of blocking programs, it blocks whole lists of IP addresses under certain category types. It works by loading a list of IP addresses that PeerBlock will use to block your access to — both outgoing and incoming connections. This means any of the listed addresses won't have access to your computer in the same way you won't have access to their network. For example, you can load a list of pre-made locations into PeerBlock to block IP addresses that have been labeled as P2P, business ISPs, educational, ads, or spyware. You can even block entire countries and organizations. You can make your own list of addresses to block or use several free ones from I-BlockList. Lists you add to PeerBlock can be updated regularly and automatically without any intervention. PeerBlock works in Windows 10, 8, 7, Vista, and XP. Intuitive interface, lots of customization options. Monitor all traffic coming to and from your network. No major updates in a long time. AVS Firewall has a very friendly interface and should be easy enough for anyone to use. It protects your computer from malicious registry changes, pop-up windows, flash banners, and most advertisements. You can even customize the URLs that should be blocked for ads and banners if one isn't already listed. Allowing and denying specific IP addresses, ports, and programs couldn't be easier. You can add these manually or browse through a list of running processes to choose one from there. AVS Firewall includes what's called Parent Control, which is a section to only allow access to an explicit list of websites. You can password protect this section of AVS Firewall to prevent unauthorized changes. A history of network connections is available through the Journal section so you can easily browse through and see what connections have been established in the past. AVS Firewall works in Windows 8, 7, Vista, and XP. During setup, AVS Firewall will install their registry cleaner software if you don't deselect it manually. AVS Firewall appears to no longer be part of AVS's collection of programs that it continually updates, but it's still a great free firewall, especially if you're still running an older version of Windows. Block or allow all incoming traffic with the click of a button. Free version no longer supported by its developers. NetDefender is a pretty basic firewall program for Windows. You're able to define a source and destination IP address and port number as well as the protocol to block or allow any address. This means you can block FTP or any other port from being used on the network. Blocking applications is a bit limited because the program must be currently running to add it to the block list. This works by simply listing all the running programs and having the option to add it to the list of blocked programs. NetDefender also includes a port scanner so you can quickly see which ports are open on your machine to help realize which of them you may want to close. NetDefender works officially only in Windows XP and Windows 2000, but it didn't cause any trouble for us in Windows 7 or Windows 8. Detailed help file with links to cybersecurity resources. Easy for anyone to configure. Need administrator privileges to save updates to the default destination. There are three profiles in Privatefirewall, allowing for easy switching between unique settings and firewall rules. The list of applications that are allowed or blocked is very easy to recognize and alter. You can add new applications to the list and clearly see which are blocked and which are allowed. It's not confusing in the slightest. When editing the access rule for a process, there are really advanced settings like defining whether to allow, ask, or block the ability of the process to set hooks, open threads, copy screen content, monitor clipboard content, initiate a shutdown/logoff, debug processes, and many others. When you right-click the icon for Privatefirewall in the notification area of the taskbar, you can quickly block or filter traffic without any prompts or extra buttons. This is a very simple way to quickly stop all network activity at once. You can also use Privatefirewall to restrict outbound email, block specific IP addresses, deny access to a network, and disable access to custom websites. Easy to block ads and certain content on websites. File & folder lock feature blocks access to designated items. Program control is disabled by default. Too many popups when program control is enabled. File & folder lock causes serious system problems if misused. We're not huge fans of how Outpost Firewall operates because we find it hard to use and it's no longer being developed. However, there are several advanced settings that could win you over. On first launch, rules can be automatically created for well known applications, which is nice so you don't have to manually define them if you have popular programs installed. Just like other firewall programs, Outpost Firewall allows you to add custom programs to the block/allow list and define specific IP addresses and ports to allow or deny as well. The Anti-Leak Control feature prevents malware from giving over data through otherwise trusted applications, which isn't included in all firewall programs but is surely useful. One big negative is that the program is no longer being developed, meaning that it no longer gets updated and exists as-is without support or opportunities for new features. Create different configurations and easily switch between them. R-Firewall has all the features you'd expect to find in a firewall program but the interface isn't very easy to use. Also, there aren't any inline instructions that help explain what a change in settings will do when applied. A wizard can be ran to apply rules to several programs at once by detecting the software that's currently installed. R-Firewall was unable to find all the programs we had installed, but it did work correctly for those it could find. Comes packaged with other security tools. Hides all its main processes. Only works reliably with Windows XP and 2000. When Ashampoo FireWall is first launched, you're given an option to walk through a wizard in Easy Mode or Expert Mode to setup program which programs should be allowed or blocked from using the network. The Learning Mode feature is wonderful because it assumes everything should be blocked. This means as programs start requesting access to the Internet, you must manually give them permission and then set Ashampoo FireWall to remember your choice. This is helpful because you're able to know the exact programs that are accessing the Internet to block those that shouldn't be. We like the Block All feature in Ashampoo FireWall because clicking it immediately halts all incoming and outgoing connections. This is perfect if you suspect a virus has infected your computer and is communicating with a server or transferring files out of your network. You must request a free license code to use this program. Ashampoo FireWall only works with Windows XP and Windows 2000. This is yet another reason this free firewall sits at the bottom of our list!